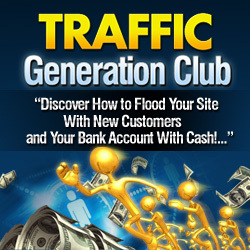 Work with another person on a project and you both benefit from increased traffic and income. What is a Partnership or JV? A partnership or Joint Venture is simply when two or more people work together on a project so that all who participate in the project benefit in some way. Whether the JV is a 50/50 split between two people or even a 90/10 split, it doesn’t matter. What matters is that everyone feels good about the business deal in the end and that the overall project is successful. What types of projects work well as a partnership? You can work with another person on any type of business endeavor. Those are just a few of the many ways you can partner on a project. How Can a Partnership or JV Help You Get Traffic? A partnership or JV can bring you traffic as both you and your partner promote the project -– and promote each other in the process. If you each send a mailing to your lists about the project, you each benefit from the exposure. Of course, if your partnership is a joint blog or website, then you’ll both want to include links to your other sites in the blog or website, giving you both plenty of extra traffic that you may not otherwise have experienced. Plus, there is the added benefit of feeling more motivated to work on a project if you have someone counting on you. So, you may find that your community blog gets more attention than your other blogs do for that reason. Being a little extra-productive and motivated is another major benefit of partnerships. How Can You Start a Partnership? Make your first partnership with someone who you’ve known a long time online. Start with a small, short-term project with little to no risks involved. Once you’ve tested the waters, you can jump into a larger venture with that person. Lay out all the expectations in advance and be sure to keep up your end of the bargain. You both should feel as good about the project at the end as you did going into it.